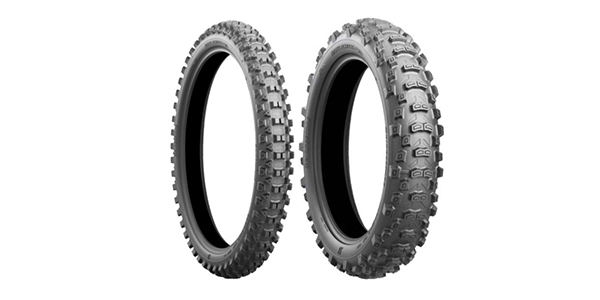 Bridgestone Corporation announced the launch of BATTLECROSS E50 motorcycle tires for enduro competitions. BATTLECROSS E50 tires launched in one front tire size and two rear tire sizes in the U.S. and Canada in January 2019, and will launch in other regions in February 2019. Leveraging the experience and technologies gained through the development of tires for off-road riding, BATTLECROSS E50 tires from Bridgestone have been designed to deliver high traction and cornering performance on a variety of road surfaces as is required in enduro competitions. The tires employ the company’s proprietary Castle Block technology to ensure effective grip, even on slippery surfaces. A specialized edge, called a bunker, located at the base of the tread blocks enables BATTLECROSS E50 tires to exert strong traction on soft surfaces. Bridgestone also used 3D simulations to optimize the shapes and positions of the tread blocks to deliver higher levels of cornering performance in the BATTLECROSS E50 front tire and enhanced traction performance in the BATTLECROSS E50 rear tire.